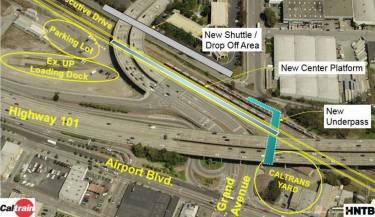 Caltrain along with the City of South San Francisco is replacing the existing South San Francisco Station. 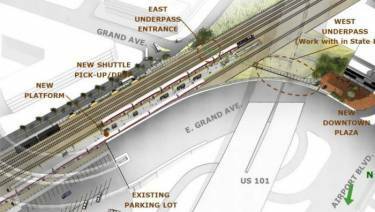 The new center boarding platform will connect to a pedestrian underpass at Grand Avenue/ Industrial Way. This will improve safety by eliminating the hold-out rule which is enforced at Caltrain stations that have only one outside boarding platform which prevents a train from entering the station while another train at the station boarding or alighting passengers. 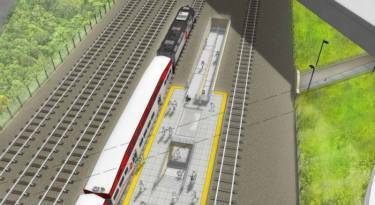 The improvements will also make the station fully compliant with the Americans with Disabilities Act. Portland Bolt manufactured the anchor bolts which were extremely large in diameter. Portland Bolt supplied 17,000 pounds of 2-3/4” x 50” galvanized anchor bolts with welded flat bar anchor plates. All items were manufactured and galvanized in our 94,000 square foot manufacturing facility. We were chosen for our reliability and quality.